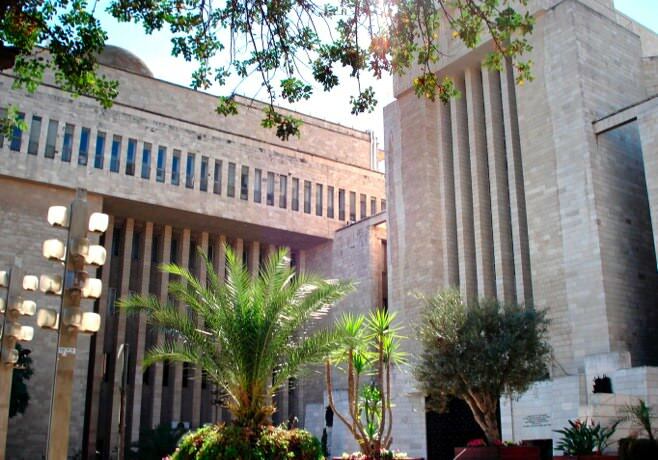 The Great Synagogue was built in inaugurated in Jerusalem in 1982, as a response to the growing need of the Jewish community in Jerusalem for a large central synagogue, a point of attraction and a unifying agent for religious life in Jerusalem. Also, it needed to be large enough to accommodate many worshipers and visitors. The construction of the Great Synagogue includes both Sephardic and Ashkenazi elements simultaneously. 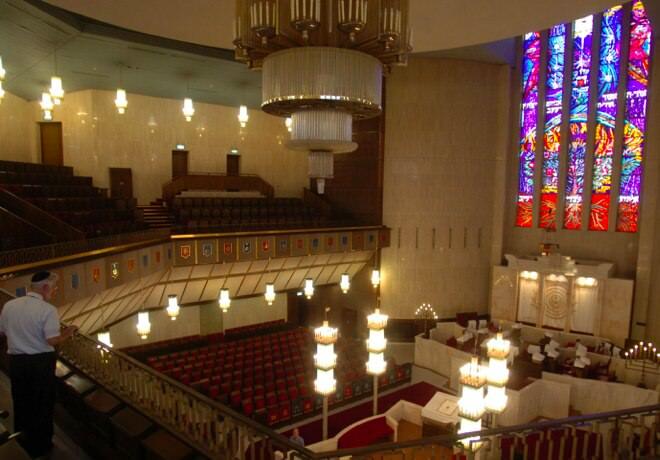 While at first it was designed as an Ashkenazi synagogue, and the prayers in it were also read according to Ashkenazi tradition, the sitting arrangement is reminiscent of a Sephardic synagogue, and there is also a separate Sephardic synagogue located on the entrance floor. 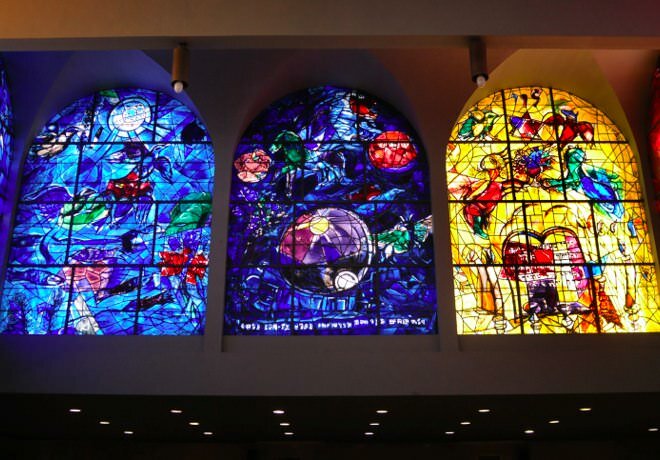 The design of the synagogue is impressive and beautiful; the seats are surrounded with stained glass windows, designed by an Israeli artist, incorporating verses from the Bible. 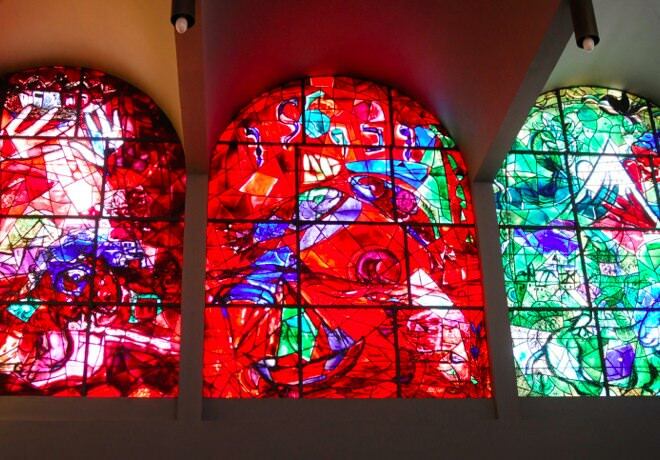 Similarly, the chandeliers, the symbols, the Torah Ark and other details, are all designed carefully, and with an extraordinary sensitivity for detail, by the architect Alexander Friedman. 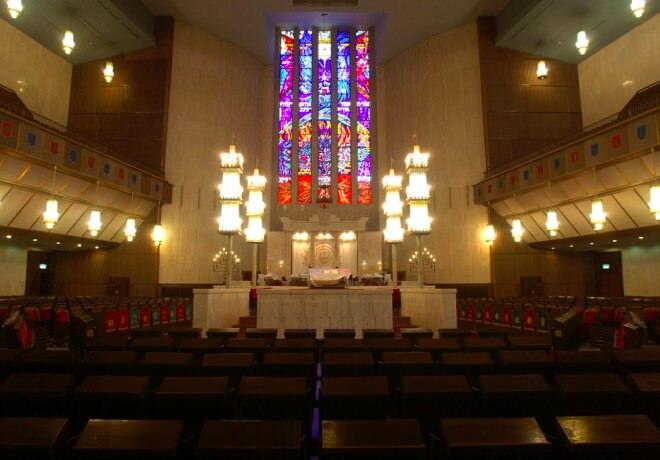 The Great Synagogue in Jerusalem today is a religious and spiritual center for visitors and tourists from all over the country and the world, and in Saturdays and holidays, the Great Synagogue holds festive and impressive prayer ceremonies.